I'm back... finally! And I couldn't be happier. I mentioned on twitter and instagram last week that I was having trouble with my laptop so it was in getting repaired. That was the reason there was no new content over the last two weeks, lets just say don't download windows 10 or it will lead to big problems. In the mean time I decided to redecorate my bedroom. One of the reasons why my pinterest has been hopping as of late. My bedroom is almost complete except for my two armoires or wardrobes. Don't you think it is so hard to style the tops of them? I definitely do. Right now I have a suitcase on one and three little Brown Thomas bags on the other. I think they both look cluttered and ruin the look of my room although the Brown Thomas bags match my room perfectly they look a little lost or lacking. 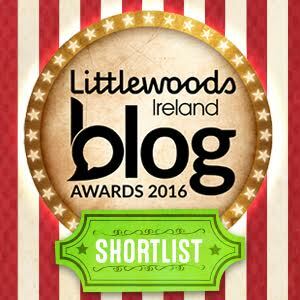 As I was browsing the web looking for ideas I came across this website Chairish. 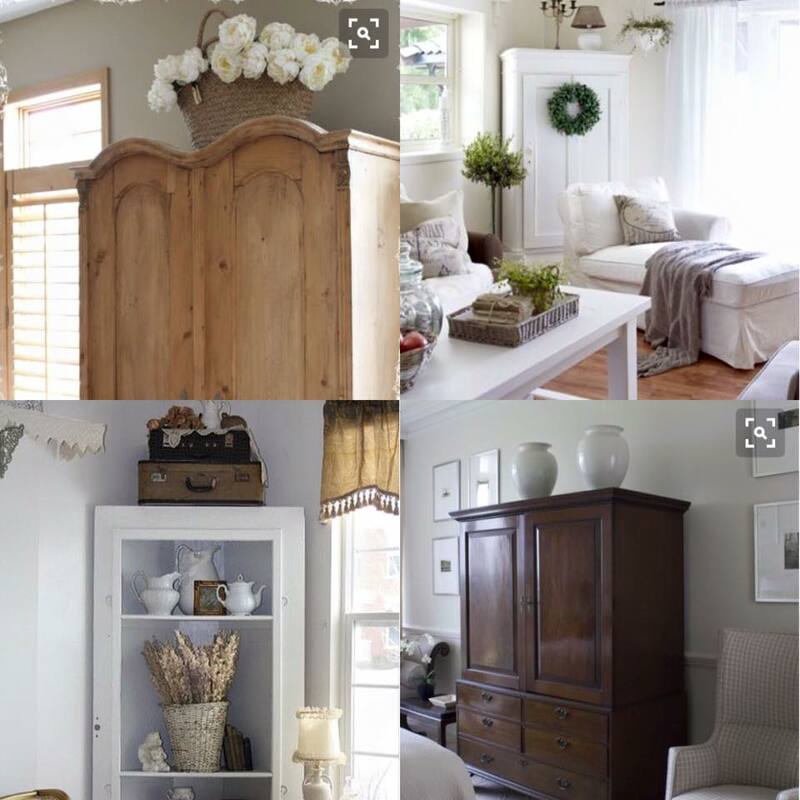 Which is an exclusive curator approved online market place for vintage furniture. 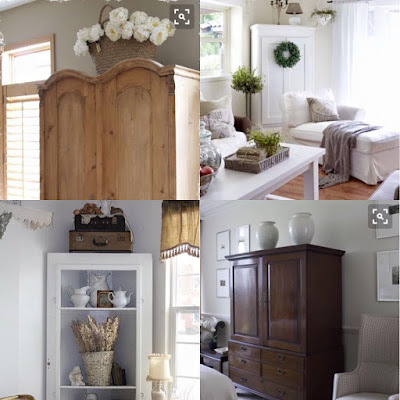 They have the most gorgeous collections from shabby chic to modern to Victorian style furniture. I spent hours scrolling through the website looking at all of the beautiful pieces and finding inspiration for my own room. The below four armoires are my favourite from the site. 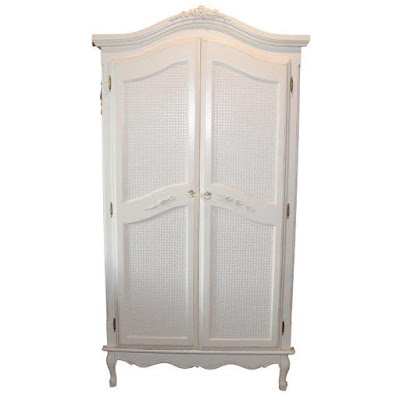 I love white a mirrored furniture. As you can tell from photos taken from my bedroom. 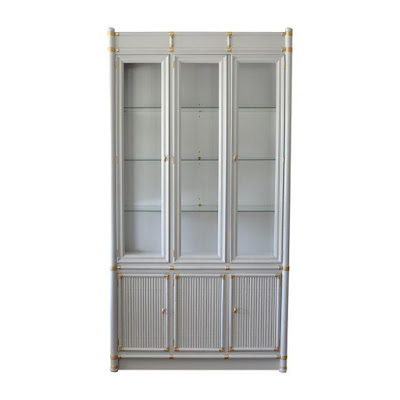 As mentioned I have two wardrobes in my bedroom but they are both separate and free standing that's why I loved the first wardrobe pictured above. 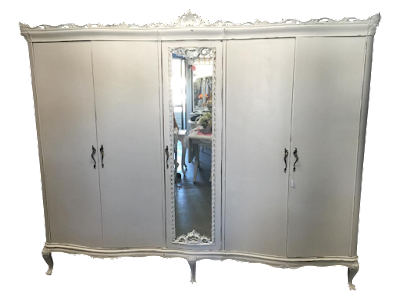 I think it would be perfect for anyone trying to save space in there room and I think it has a really girly and fairy tale feel to it. 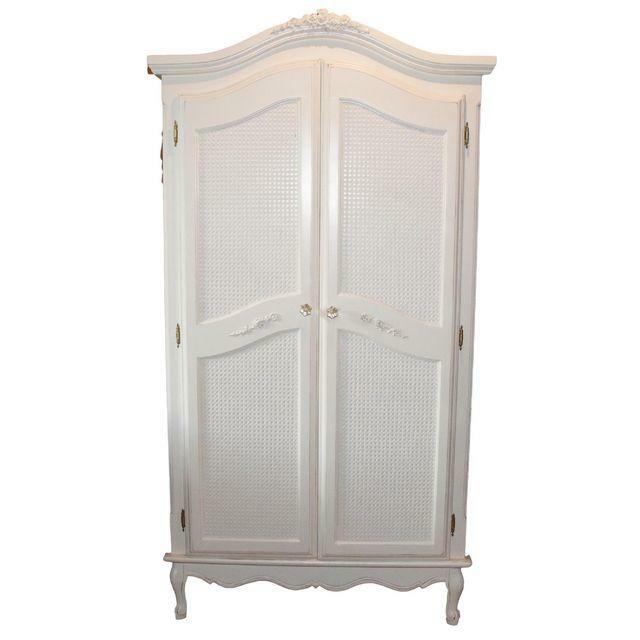 This one is very like the armoires I have in my own bedroom. Simple but pretty and chic. I really like the french style with the crystal knobs. 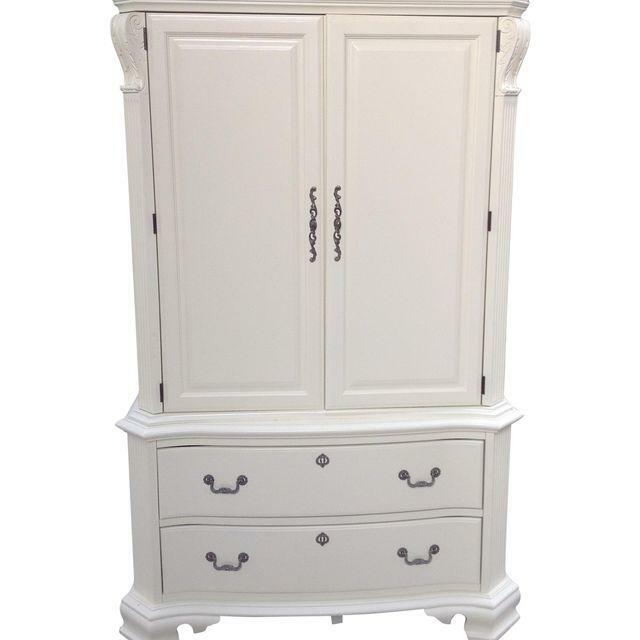 This is a gray cabinet and not really supposed to be for your bedroom but bare with me for one minute. I think they gray and gold accents are gorgeous together. Obviously I wouldn't store clothes in here as its for your finest china dishes. Instead, I would store pretty perfume bottles, sparkly high heels, clutches and jewelry as well as chic books and glittery ornaments. To give my room a sort of boutique vibe. I love how this wardrobe has two big draws at the bottom, for all of the clothing that you do not hang. 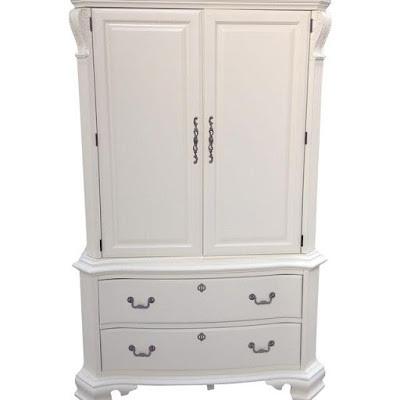 Its also a space saver as you wouldn't need a free standing chest of drawers unless you choice too. 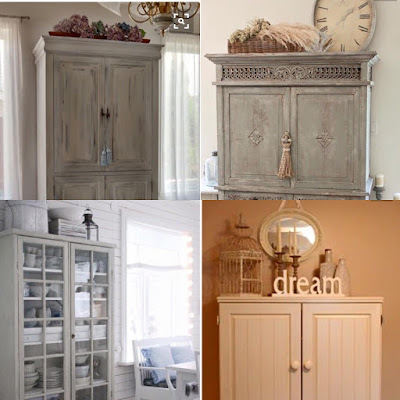 I made three style boards for some decor inspiration for the tops of the wardrobes. I found some really good ideas but narrowed it down to my top three. 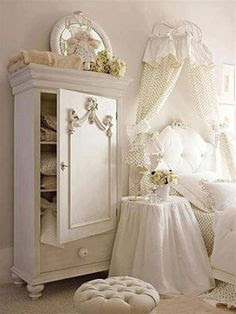 I really love white and cream furniture and furnishings with a pop of colour in my bedroom. I think it looks fresh and chic and really feminine. On the other hand when I saw the dark wood with the Christmas decorations I thought it was gorgeous too. 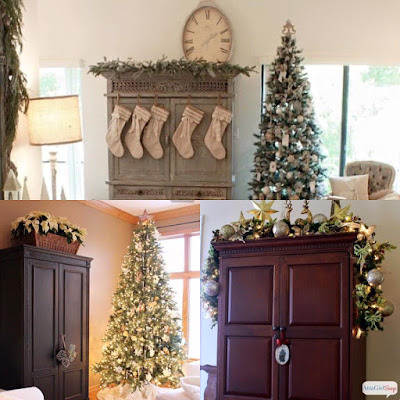 I really like going all out for Christmas decorating all rooms in my home and I think the Christmas decorations for your wardrobes are beautiful! 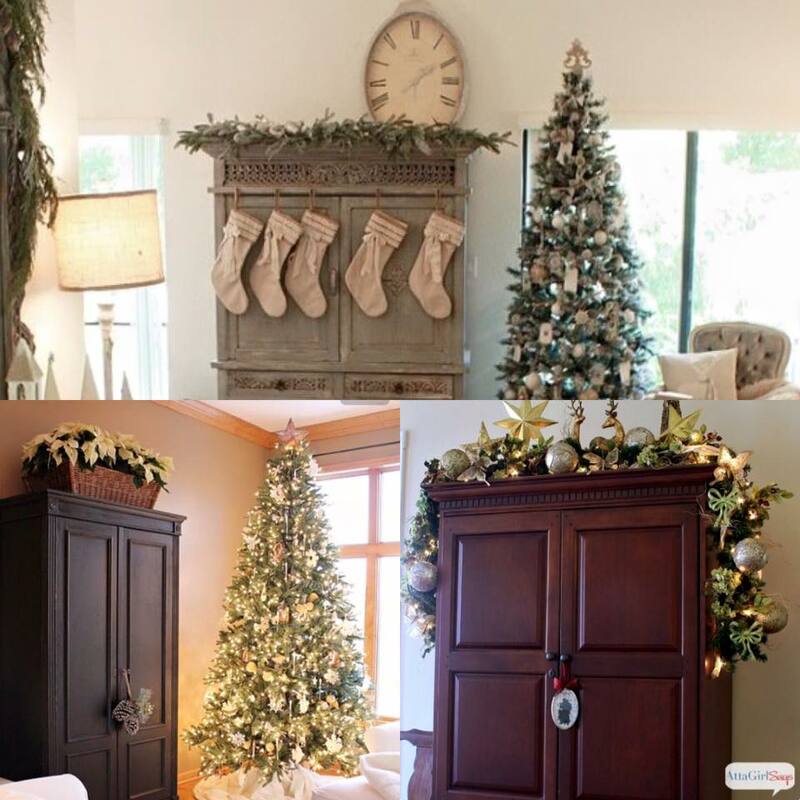 Seeing the Christmas decor gave me the idea of changing decor colour schemes with the seasons or holidays. For example for spring or summer decorate using pastel colours such as baby pink, baby blue and lilac. 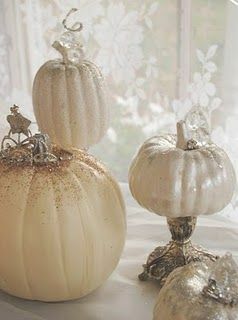 Or for Halloween find a colour scheme that matches your room but is still festive. Of course the above picture is only a sample of the decor but its inspiration for my own armoire once Halloween comes next year. 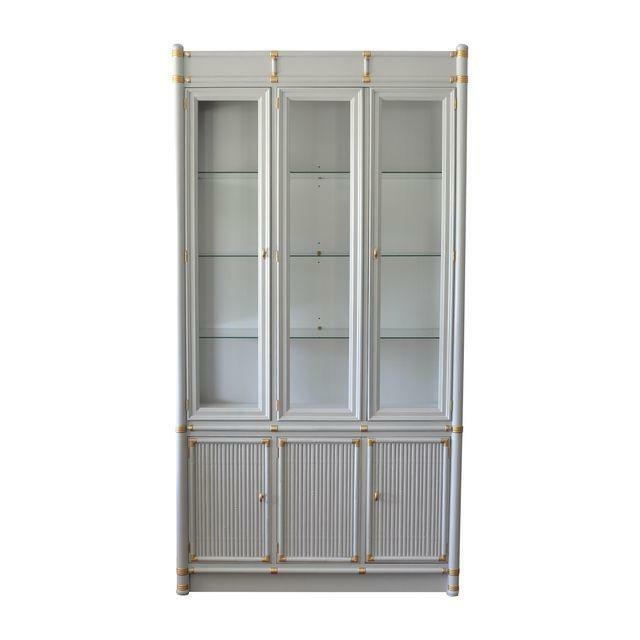 I really home you enjoyed this post and find some inspiration for your own armoire! The Perfect Christmas & Feeling Grateful! How To Stay Fit & Healthy This Festive Season!